Leaves are changing colors, bulky sweaters and boots are being pulled from storage and pumpkin-flavored items are in every store. That can only mean one thing—fall has arrived! With the changing of the seasons comes a change in seasonal produce, and fall produce features some of the most vibrant nutritious superfoods. “Superfoods” are aptly named because of their high nutrient density and beneficial health qualities. These superfoods grow best in fall weather, and they can be grown locally and picked at the peak of freshness and nutrient composition. Cauliflower is one of the trendiest and most versatile vegetables right now. It can be substituted for mashed potatoes, made into a cous cous, or served roasted from the oven. Cauliflower grows best in the fall, and it’s a fantastic source of nutrients. One cup of cauliflower contains only 27 calories and has more than 3/4 the daily value of vitamin C to help fight off cold-weather colds. It also contains vitamin K, which is essential for blood-clotting, and fiber to aid in digestion and keep you full long after a meal. Whoever said avoid all white foods definitely forgot about cauliflower! Pumpkin is everywhere right now because it grows best in fall. Pumpkin is so often used in sweetened dishes (pumpkin lattes, pumpkin bread, etc.) that many forget it’s a naturally sweet fruit with a ton of health benefits. One cup of unsweetened pumpkin contains only 30 calories, is rich in fiber and has over 200 percent of the recommended daily intake of vitamin A. That means it’s good for your waistline, your heart and your eyes. Fall graces us with an abundance of wonderful squash varieties, such as delicata squash, butternut squash, acorn squash and spaghetti squash. Squash is generally known for it’s bright color and sweet taste, but what many people don’t know is that squash contains omega-3, an essential fatty acid that promotes brain health. Like pumpkin, squash is also an excellent source of vitamin A, which promotes eye health and fights against macular degeneration. What was once thought of as the most hated vegetable has now become a popular fall and winter staple. A 1/2 cup serving of these tiny cabbages contains almost 100 percent of your daily value of vitamin K, which also helps promote wound healing. Brussels sprouts are also a good source of folate, which is needed to make DNA and maintain healthy cell metabolism. Lastly, Brussels sprouts contain iron needed to transport oxygen throughout the body and maintain healthy red blood cells. Pears: Did you know that pears grow best in fall? This naturally sweet fruit pairs well with autumn spices to create a delicious fall flavor. The skin of the pair contains fiber that aids in digestion. 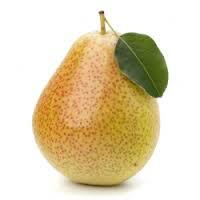 The pear itself is a good source of Vitamin C and copper, both of which help maintain a healthy immune system. Cranberries: What Thanksgiving table would be complete without cranberries? These tart berries are loaded with antioxidants, which prevent inflammation and free radicals. Both can cause harm to cells and may ultimately cause chronic diseases, like cancer and heart disease. Research has found that a diet high in antioxidants may protect against these chronic diseases. Luckily, our favorite Thanksgiving side dish is one of the top five highest antioxidant containing foods per serving.